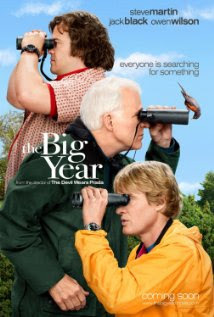 After watching "The Big Year" film recently (starring Jack Black, Steve Martin, and Owen Wilson), my husband, father-in-law, and I decided we'd do our own little informal version of the Big Year. In other words, we will be competing over the course of the next year (beginning yesterday, April 12th, 2012) to see who can not only see the most species of bird, but also photograph them. While we won't be going to the extremes that the bird-watching-maniacs did in the film (hey, we don't have a limitless supply of cash or necessarily want to plan what few vacation days we might have this year around birding spots), we'll be having our own friendly little competition as we go about our daily routines. I am by no means an expert birder. In fact, I'm not even much of an amateur. I took a class in college called "Vertebrate Field Biology," which was mostly a bird-watching class (our professor was an avid birder), but that's about the extent of my experience with it. So I'll be learning as I go along. I may, from time to time, call upon you, dear reader, to help me identify some baffling bird shots if I can't figure out what the species is myself.... So feel free to send your best birding tips my way. At any rate, you're welcome to play along with us, or just enjoy the bird photos as I post them (such as they are... taking pictures of birds in the wild is quite tricky, as you will see from my less-than-stellar photos). So enjoy the blog, and join in if you'd like! I'd love to see your bird photos too!